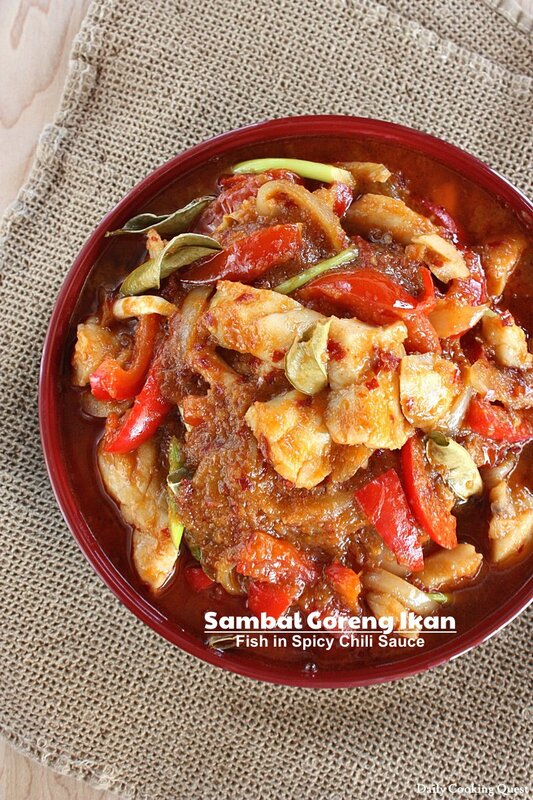 As promised, here is another recipe using the super versatile sambal goreng. If you are interested at preparing a multi purpose sauce that can be used in many dishes, you should check the recipe out. Today I am using fish for this recipe, but you can also use other seafood, like shrimps, squids, even crabs, or make a seafood combo dish. Lately I develop an allergic reaction to shellfish, so I am sticking to fish, but I actually love this dish with shrimps. 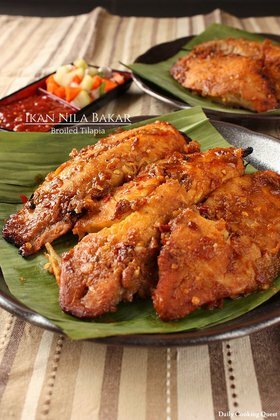 For a simpler recipe with sambal goreng, make sure to check my previous recipe on sambal goreng telur. 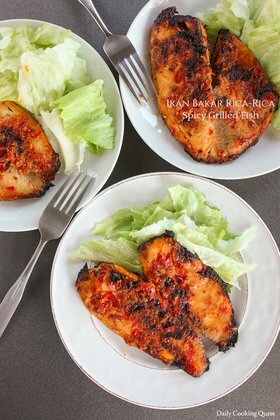 Next time, I will introduce another recipe with sambal goreng as well, so I hope you will set aside some time to make the chili sauce. Stay tune! Heat oil in a wok/frying pan on medium high, sauté onions until slightly translucent. Add red bell pepper and tomatoes, cook until tomatoes look slightly wilted. Add sambal goreng, tomato ketchup, soy sauce, salt, and sugar. Mix well. Cook until the sauce bubbles. Add fish, mix well. Cook for 2 minutes, or until the fish is cooked. Adjust salt and sugar as needed. Turn off heat. Add in the scallions, mix well. 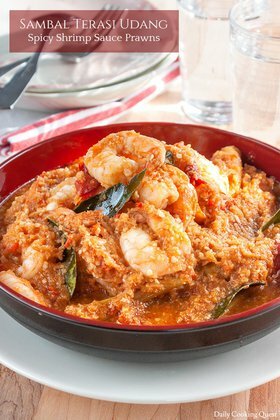 Transfer to a serving plate, serve with steamed white rice. 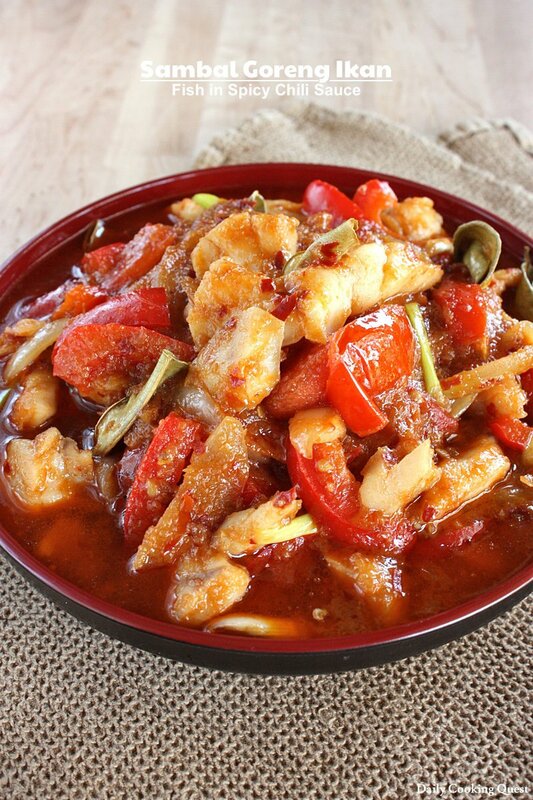 (*) You can also use shrimps, squids, crabs, or any combination of your favorite seafood.